Work Here. Grow Here. Stay Here. 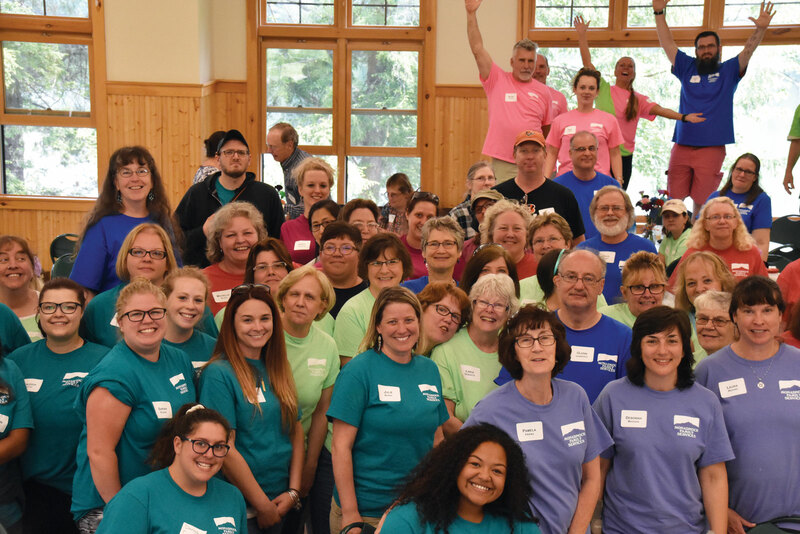 Monadnock Family Services (MFS) is a community mental health agency with dedicated, competent and passionate people who make a difference in the lives of clients every day. We help children, adolescents and adults overcome all types of behavioral health issues, including mental illness and addictive disorders. We are building the best mental health team in Southwest New Hampshire! We have strong supportive connections with every team member. Because we function in an interdisciplinary manner, our integrated approach to treatment means we deliver the best care possible which is rewarding and supportive for client and staff! Begin your career with us. Build your career with us. Stay with us for the duration of your career. We have an amazing pattern of longevity among our staff. We have career ladders to keep you moving up! Come in as an intern, get your Bachelor’s Degree, move on to your Master’s Degree and get that capstone Doctorate, working all the while and receiving financial incentives and tuition reimbursement all the way! Why float around waiting for your career to take off? Apply once and ride with us to the top of your career. MFS is the ONLY mental health agency working as the regional safety net for severe mental illness. You can become part of the most rewarding career helping those with the most challenging mental health issues. At MFS, we provide the best care possible. After all, the best care is the best care. Nothing less will do. If this commitment to care resonates with you, reach out and let’s have a conversation. Your career is nearby. Be well. Stay well. As a member of our team, we will help you balance the stress of an intense career with a healthy lifestyle. Send your application to humanresources@mfs.org. Site by NNEdigital. Copyright 2018.